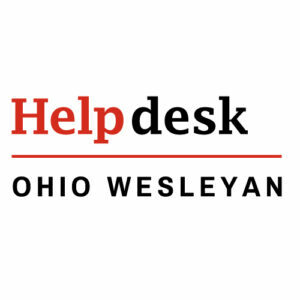 Hours during the academic year: Monday – Friday; 8:30 a.m. – 5:00 p.m.
Summer Hours: Monday – Friday; 8:30 a.m. – 4:30 p.m.
You may send a text to 740-844-3520 at any time. Your issue will be added to a queue that will be reviewed during normal business hours. It is important that you provide your email address in the text message if you wish to have a staff person contact you regarding the issue. We may not reply back to your SMS. If you are reporting a problem with BishopNet, please provide your location–-building and room number–-so testing can be conducted. The more info we have, the better.